Kettering Physician Network Primary Care - Sugarcreek specializes in Family Medicine for patients in Dayton, Ohio and surrounding communities. All of our highly skilled physicians are board certified in Family Medicine and Sports Medicine. Our team includes; David Buck, MD, Kali Hollingsworth, DO, Saba Qureshi, MD and James M. Tytko, MD. Our doctors serve as team physicians for many area high schools and are also the team physicians for The Dayton Dragons Baseball Team. At Kettering Physician Network Primary Care - Sugarcreek, our physicians and staff are committed to providing courteous, prompt, and compassionate care centered around you. We are ready to listen and respond to your needs, because you are our first priority. 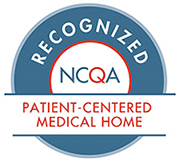 We strive to provide an environment conducive to your health, well-being, and recovery and are dedicated to taking an active role in your health care.